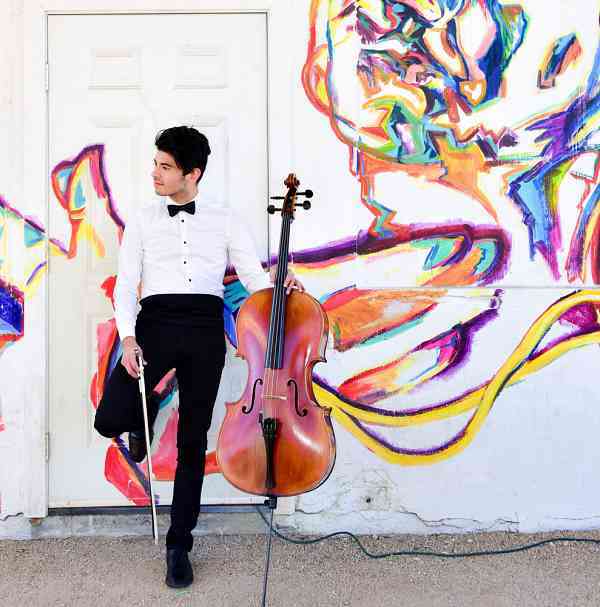 Anthony C. Rodriguez holds a Bachelor of Music in Cello Performance from the University of Nevada Las Vegas. During his studies with Dr. Andrew Smith, he was awarded the Music Grant in Aid, Devos Fine Arts Scholarship, Governor Guinn Millennium Scholarship, and performed as one of the concluding members of the esteemed Liberace Scholars String Quartet. In early 2015, he made is Las Vegas Strip debut performing in The Elvis Experience at Westgate Hotel & Casino and has since performed regularly at Steve Wynn’s ShowStoppers at Wynn Las Vegas. Most recently, Anthony had the privilege to play alongside Seth MacFarlane during his two-night engagement on the Encore Theater Stage. In addition to performing, Anthony has fostered a deep passion for teaching. In tandem with the teaching philosophy of Shinichi Suzuki, Anthony believes that talent must by nurtured at every turn with immense patience, love and optimism.